Donating your boat can help improve your tax situation. 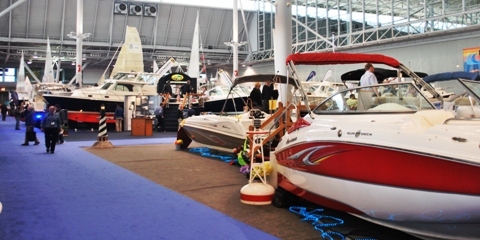 Selling a boat isn't easy - even at a boat show. Donating may be your best bet! Even though we had a few extra days to do our taxes this year, millions of Americans have waited until the last minute and are doing their taxes today. As you go through all your deductions, think back to the last boat you sold. 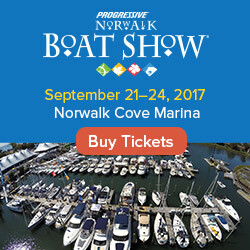 Did you have any trouble selling your boat due to the economy, or did it cost you a lot of money to maintain while it wasn't selling? Did the time and costs of selling a used boat give you a headache? Everything from paying for a classified ad, taking phone calls, showing the boat, price haggling, arranging delivery, etc., can be quite, um, taxing. Now think about how nice it would be to have an organization pick up your boat, sell it for you, and send you a nice big receipt for donating your boat to charity. 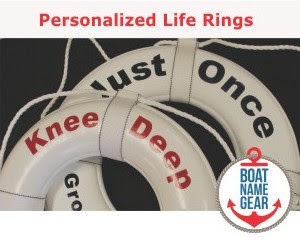 As we mentioned this time last year, there is an organization called Boat Angel that makes the process of donating your boat very easy. And again, no, of course they do not give your donated boat to people in need… that would be silly. What they do do is sell your boat and use the proceeds for charity. One of the biggest charities they donate to is Mercy Ships, which operates hospital ships all over the world. But you can choose to have them donate the proceeds from your boat to the charity of your choice. It's too late for your 2010 filing, but if you think you may have a boat to donate in 2011, check out Boat Angel at www.boatangel.org. Here's something else to file under the subject of Boats and Taxes. You may be able to write off the interest on your boat loan the same way you write off the interest on your home mortgage. As we discuss in more detail on the FirstBoat boat loans section, most express cruisers, and sailing and motor yachts may qualify for this deduction. Okay, we know you are under deadline, so get back to your taxes! But keep these ideas in mind as you plan ahead for next year. Like other vehicle donations, the donation of a boat is tax deductible if the donation is made to an eligible organization and the donation is properly documented.